That’s right, it’s time for a little bit of shameless self promotion. This coming weekend (April 5-7) I will be at Ad Astra Toronto. And for those of you who actually want to hear me talk, or more likely want a convenient time to cross my name off a hit list, here is where you can find me. – Wherein I get to talk about a topic near and dear to my heart with two of the coolest people I have the pleasure of calling friends. – Wherein I will attempt to lead a critical discussion on troll culture. Why does it exist? Did Aaron Sorkin get trolling right on The Newsroom? What empowers a troll? And how can a person react to a troll without feeding them? – Wherein Beverly and I will talk about the various and sundry ways a person can effectively moderate a panel at a convention. – Wherein hopefully nobody will attempt to draw a windmill a la Pierce Hawthorne in the Pictionary component of the program. Also, Match Game. – Wherein we will break down trailers for summer movie blockbusters, and Matt Moore and I will try not to make like Randal and Dante. – Wherein I will fire back a Sunday-at-a-con sized Red Bull before doing a live and unscripted podcast with 1/2 of the Limited Release Podcast. 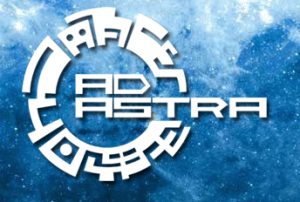 Once again my endless gratitude to Ad Astra for having me back as a panellist this year. Anybody looking for something to do in the GTA this weekend should come check it out. Would you like to know more?